NGA Recent Acquisitions 1974, no. 114. 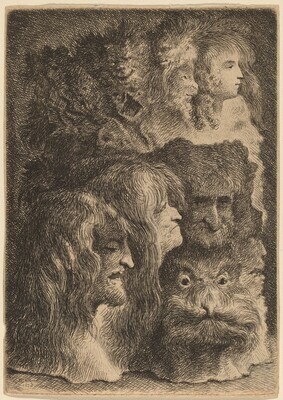 The Fantastic in Renaissance Prints and Drawings, National Gallery of Art, Washington, 2000. The New Hollstein Dutch & Flemish Etchings, Engravings and Woodcuts, 1450-1700. (De Gheyn Family, Jan Piet Filedt Kok and Marjolein Leesberg, authors). Rotterdam: Sound & Vision Interactive, 1996-, no. 22, state only.